Plyometric Jump Training has been proved to be the best type of training to help you jump higher. Plyometric Training uses your own body weight to train your muscles to jump higher. Plyometric Jump Training can be done in any room with a ceiling that is high enough when jumping. Plyometric Jump Training can also be done outside in your driveway, park, or even at the beach. Plyometric Jump Training is good, and will help you jump higher. However, Jump Training on the beach is much betters the sand will add extra resistance and also be easier on your joints at the same time. Beach Jump Training can be done at any beach, however the beach I train most at is the Burlington Beach in Burlington Ontario. 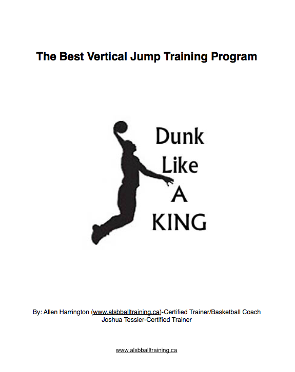 If you would like to have some Vertical Jump Training on the beach fill out the form below and I will get back to you within 1-2 days. If you don't live near the Hamilton Ontario region don't worry you can always buy Allen's Jump Training Book. In this book you will run through a jump training program that includes a pool workout as well.